Mountains in the dry and arid region of Rajasthan seem to be like a paradox. Not really.In South of Rajasthan - the only bona fide hill station offers a whiff of fresh air to the states rugged landscape. This little hill station rules this royal state with its serene and exotic surroundings and close proximity with the Jain Temples at Dilwara.While meandering through the thick woodland forests - tourists can discover the most intricate marble carving in the world. Other scenic attractions of Mount Abu homestay tour is undoubtedly a visit to the most romantic destination of Rajasthan - Udaipur. 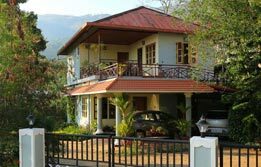 Add on to this idyllic vacation is the homestay in the wondrous setting of the exotic locations of this royal state. Upon arrival in Delhi - meet our representative who will assist the transfers to a luxury homestay in Delhi. 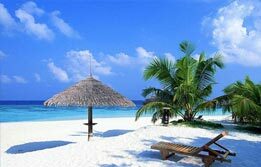 (Colonels Retreat / Dolphin Just Like Home / Shanti Home) Rest of the day is free to relax. After personalized breakfast at the homestay - begin exploring the heritage of Delhis timeless monuments. 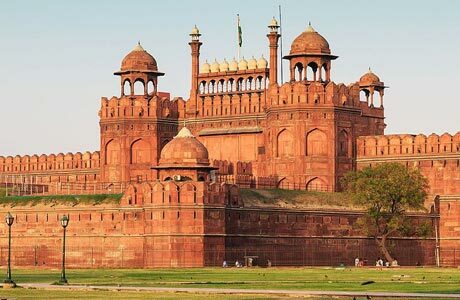 Visit the Old Delhi first - characterized by the presence stately Red Fort. This is a 16th century fort built by Emperor Shah Jahan to commemorate his shifting of capital from Agra to Delhi. Overlooking this Mughal monument is the bustling bazaar of Chandni Chowk and largest Asian mosque - Jama Masjid. Visit to the Raj Ghat - the cremation site of Mahatma Gandhi near the old Delhi premises is another attraction of visiting this city. Continue the Delhi city tour via a visit to Emperor Humayuns Tomb - dedicated to the second Mughal emperor. 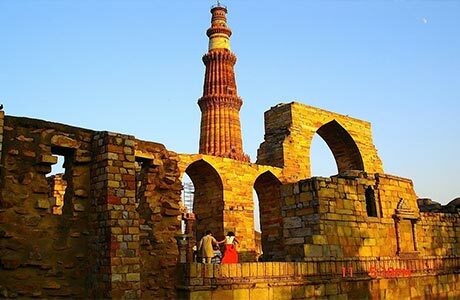 Qutub Minar is the next iconic monument lined up during the citys tour. Later - visit the legacy of modern Delhi designed by Sir Edward Lutyens. India Gate - the memorial archway - Rashtrapati Bhawan or Presidents House and Sansad Bhawan or Parliament house form another illustrated experience of a visit to Delhi. Return to the homestay for overnight stay. 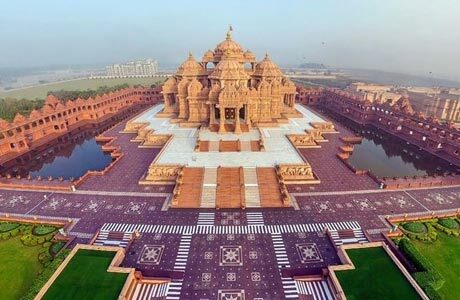 After breakfast - visit Akshardham Temple and its Museum complex. Check out in the noon to board the train to reach Abu Road - Mount Abus nearest railway station. 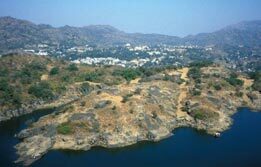 Mount Abu - Rajasthans only hill station is just 28 Km away from Abu Road. Upon arrival at Abu Road - board the pre-arranged luxury car to reach Mount Abu. Here - check in at the Darbargadh Poshina - an ancestral fort where home like hospitality in the company of modern generation of royal Poshina dynasty can be experienced in Mount Abu. After breakfast - move out in Mount Abu and visit Dilwara - a complex of marble temples dedicated to Jainism. Built between 11th and 13th century - these temples display the most intricate marble carvings - making them one of the most beautiful places of worship in India. The must visit temples in the complex are Vimala Vasahi - Mahaveerswami Temple - Luna Vasahi Temple - Bhimasah Pittalhar Temple and Khartar Vasahi Temple. After this excursion - return to Mount Abus focal point - Nakki Lake. Shrouded in Hindu legends - this lake provides a serene touch to the mesmerizing surroundings of Mount Abu. 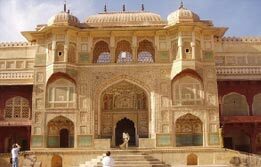 Continue the tour via a visit to Raghunath Temple and Maharaja Jaipur Palace after boating in the lake. Return to the homestay after strolling in the idyllic surroundings of Mount Abu for overnight. After breakfast - visit the 14th century Achalgarh fort - built by Rana Kumbha of Mewar. The fort complex includes beautiful Jain temples including the Achaleswar Mahadev Temple (1412) and the Kantinath Temple (1513). 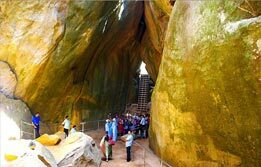 The day can also be utilized for hiking on the hill tops of Mount Abu. 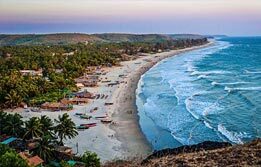 Adventure sports and eco tourism options can also be experienced in Mount Abu. After this active day - relax in the calming space of homestay. After breakfast - check out Darbargadh Poshina for a drive towards the ultimately romantic destination of Udaipur (167.1 km / 3 hrs). 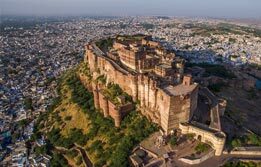 This is the luxury capital of Rajasthan famed for its number of lakes and plush palaces. On your arrival in Udaipur - check-into the Haveli Homestay for an authentic hospitable experience in Rajasthan. (Amet Haveli / Jaiwana Haveli / Karohi Haveli / Mewar Haveli / Pahuna Haveli). After relaxing in Udaipur - begin the boating in the Lake Pichola. 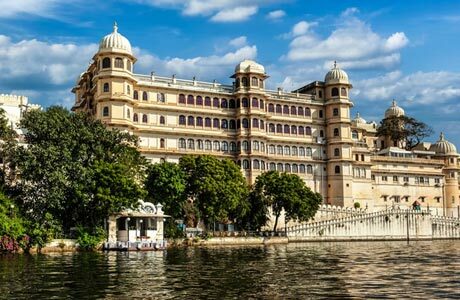 This is quintessentially romantic experience of the city where spectacular array of turreted and balconied palaces float amidst the peaceful waters of lake. The ornately constructed Havelis also form the heritage circuit of Udaipur. Overnight in Udaipur. After breakfast - begin the sightseeing of Udaipur via a visit to City Palace - the largest palace in Rajasthan. Perched atop the hill - this palace provides scenic views to the tourists. Visit Crystal Museum and Bagore ki Haveli to understand the bountiful heritage of Udaipur. 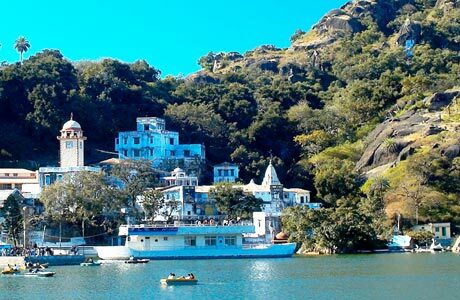 Continue Udaipur tour via a visit to Eklingji Temple and Saas Bahu temple. Overnight in haveli at Udaipur. After breakfast - depart Udaipur for a journey ahead to Ajmer. This is the historic city known for its ties with Islamic culture. Here - tourists can experience the Sufi devotion at Khwaja Muin-ud-din Chishti - the holiest Muslim shrine in India. This city experiences the influx of pilgrims every day. Listening to the hypnotic qawwali chanting every evening is a highlight of the visit. Nearby town of Pushkar is also a delightful destination known for its only Brahma temple in the world. A dip in the sacred Pushkar pond is prime ritual here. Upon arrival in Ajmer - check into the haveli homestay. (Badnor House / White House Villa / The Villa / Kharwa Homestay). And continue the city tour. Overnight in Ajmer. 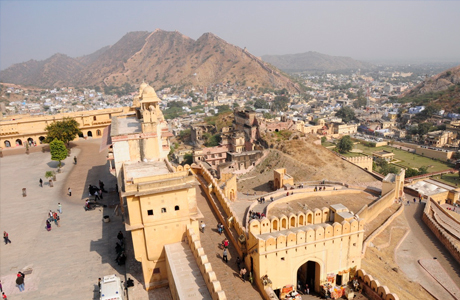 Leave Ajmer for Jaipur (126 Km/ 2.5 hrs) - the capital of the royals. 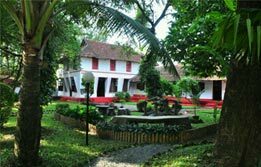 Here tourists can experience a myriad of forts - palaces - and havelis depicting the strongholds of Rajputana culture. Upon arrival - check in the haveli homestay of Jaipur. And later move towards Amber Fort - the sandstone hill top fort. Here - elephant safari - one of the signature experiences in Rajasthan can be availed easily. 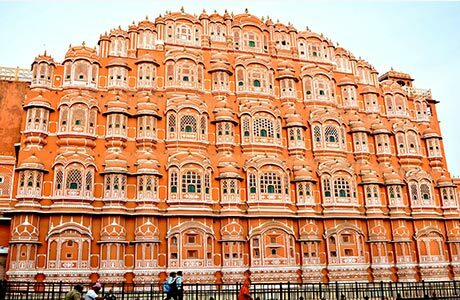 Continue exploring the city through its landmarks of Hawa Mahal - Palace of Winds - Jantar Mantar Observatory and City Palace. Evening is free for shopping in Jaipur. Overnight at a haveli in Jaipur. After breakfast - leave Jaipur via surface for Delhi. Upon arrival in Delhi - drive to the airport for onward journey and take with yourself the royally wonderful memories of homestay holidays in Rajasthan.